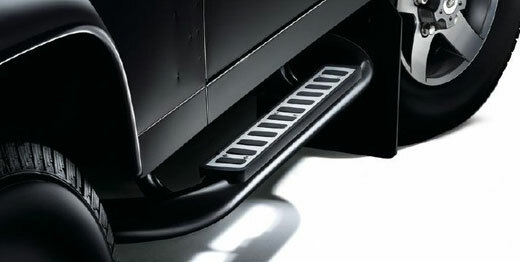 Enhance your Defenders look with a pair of these smart and robust tubular side steps. These steps also help to make entering and exiting your vehicle easier. 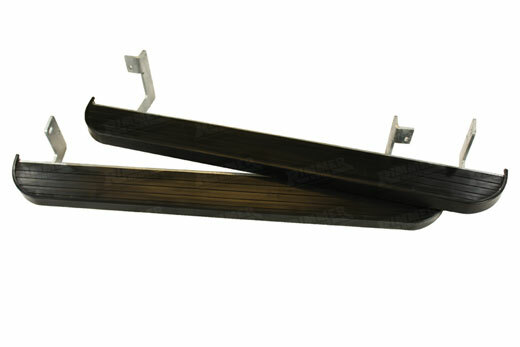 These sturdy steel side protection runners mount directly to the vehicle chassis. 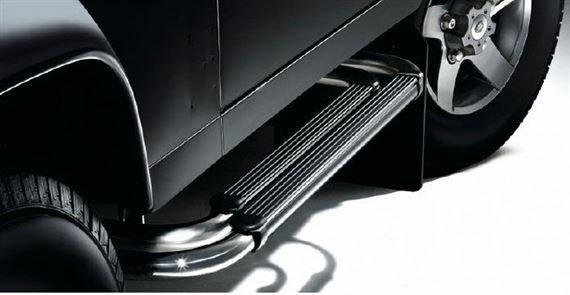 Supplied as a pair in Stainless Steel, twin tube runners. 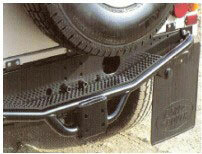 Enhance the appearance of your Defender as well as easing entry and exit. To fit 90 models only. 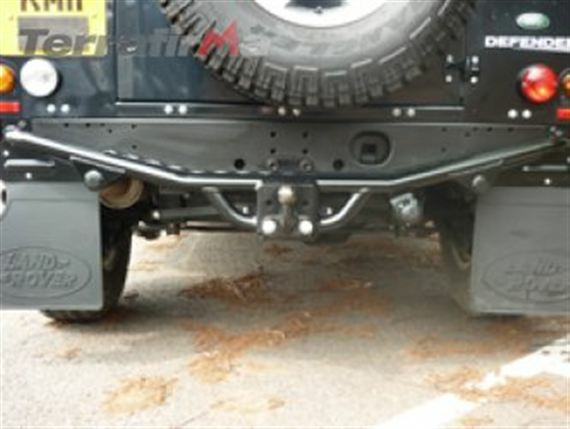 Defender 90 and 110 folding sidestep to help getting in and out of the vehicle. 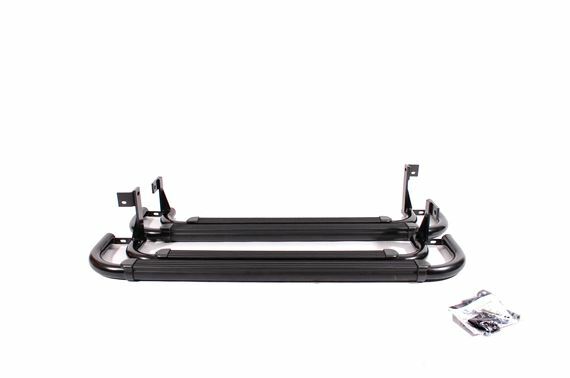 Original equipment pattern spring-loaded folding steps make access to the interior of your Defender easier. action to help raise and lower the step. 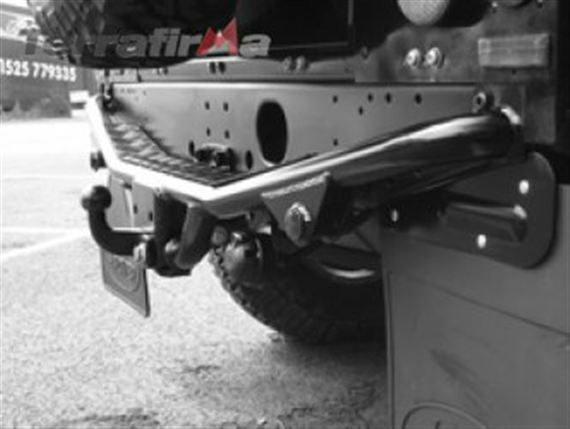 This versatile rear step bumper makes access to the load space easy as well offering added protection from minor knocks, and also incorporates a regulation tow bracket. Does not include drop plate and tow ball. 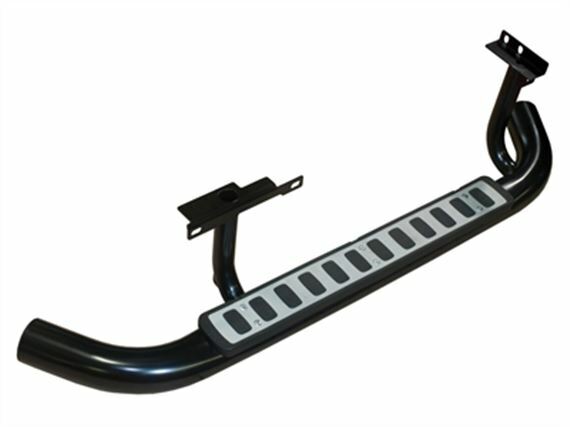 The sturdy steel design of these Side Protection Runners, enhances the appearance of your Defender as well as easing entry and exit. Moulded rubber footgrips ensure non-slip stability.